Past and present blend together in Mexico City. That’s probably the reason that this place is one of the most popular tourist destinations in Latin America; the history of this ever-changing city, along with its art, gastronomy and unique culture, have amazed and left thousands in awe and wonder. That’s the reason why we believe is not enough to give you 5 unusual attractions and we give you another 5 unusual attractions in Mexico City. The San Juan Market downtown Mexico City is among the most prestigious and well regarded public markets. Its not just a public marketplace, but a true gastronomic experience. 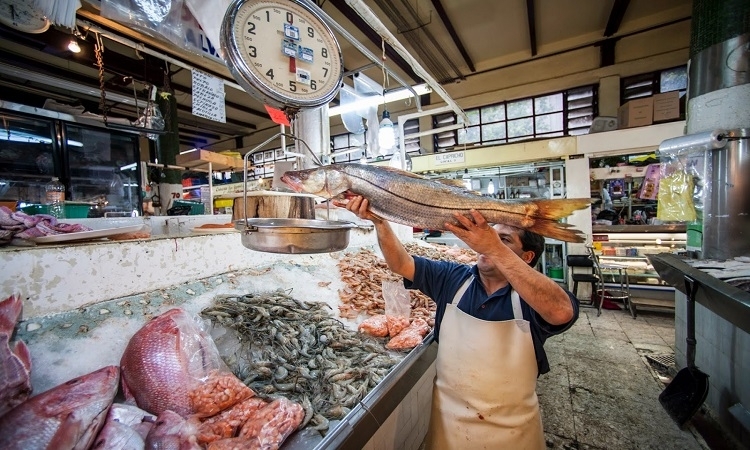 In this place you will find things that you simply will not find in most other markets like imported European grocery items and many domestic Mexican ingredients. In recent years many of the market dealers have started selling prepared sandwiches and light lunches, often with free or very reasonably priced wines. This is the perfect place to grab lunch during your tour around the City. To get there you can take an uber from La Palomilla. Food packages, vintage pharmaceuticals, soda bottles, clothing, toys, advertisements, shoe polish… you name it! the Museo del Objeto del Objeto (MODO) probably has it. MODO’s has a collection of almost 100,000 objects. However, the museum’s primary goal is serving as a homage to the collector in all of us. The oldest object in the museum dates back to 1810; the collection provides an intriguing look at the design of the relatively mundane items people have interacted with on a daily basis over the past 200 years. To get there you can walk from La Palomilla. MODO is in our neighborhood. Just five years before his death, Diego Rivera finished one of his most intriguing works, la Fuente de Tláloc. This massive tiled fountain beautifully captures the essence of the Native Mexican spirit and art that is so often depicted in his paintings. 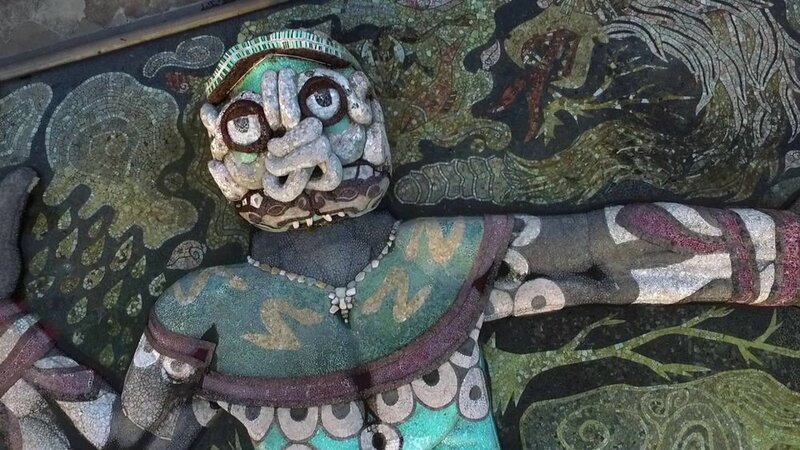 Created at the head of the Lerma River leading out to the city’s reservoirs, Rivera created a sculpture of the God of Rain, Tláloc, which spanned a pool 100 feet wide. Along with the fountain, Rivera also built and decorated the Cárcamo, a massive tank that diverted water through the fountain. This places is at the heart of the Chapultepec park, to get you there from La Palomilla you can take a nice walk to the park or take a short uber ride. 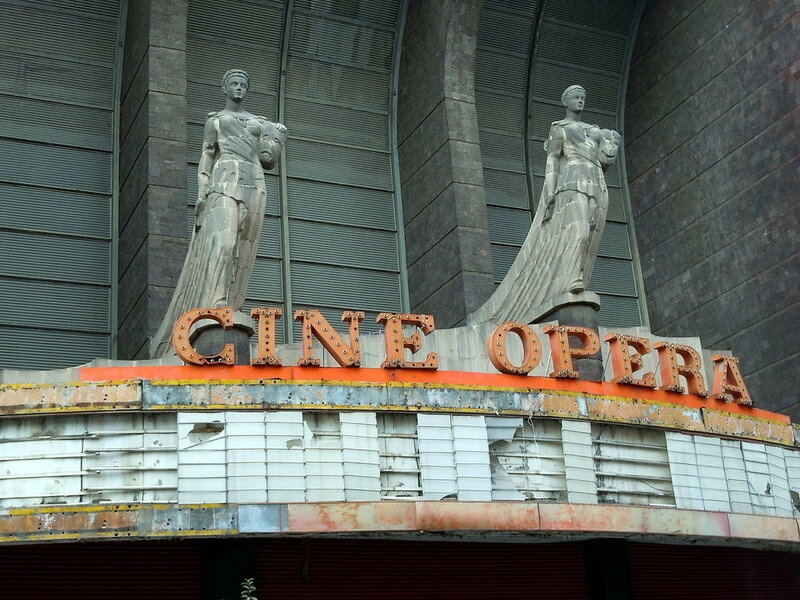 Cine Ópera was one of the largest, most grandiose movie theaters in Mexico. From its inauguration in 1949 during the Golden Age of Mexican Cinema until it was shut down in 1998. Still abandoned, the crumbling facade is a gloomy yet visually stunning testament to the glamorous peak of the country’s film industry. Located in Colonia San Rafael, a neighborhood that was once known for its stage and movie theaters, but later fell on hard times and became something of a red light district. Recently this neighborhood has seen a revival, but Cine Ópera still sits empty and some even say haunted, its Art Deco architecture and artifacts decaying. To get there from La Palomilla you can take Metro Sevilla to Metro San Cosme. Designed in a purposefully illustrative style, the Cabeza de Juárez is an over-sized tribute to one of Mexico’s most beloved presidents. Built in the mid-70’s, the museum and its iconic head were constructed to reflect the angular, graphic style of many Mexican painters such as David Alfaro Siqueiros and Bernardo O'Higgins. The square arch that the head rests upon stands 40 feet tall and holds the museum itself it is completely covered by a colorful mural. The murals both inside and outside the colosal monument tell the story ot the life of Benito Juarez who was President of Mexico from 1857 to 1872. A spiral staircase takes one up inside the head to a permanent exhibition that includes paintings by Tamayo, Rivera and Siqueiros. To get there from La Palomilla you can take Metro Sevilla to Metro Guelatao. Get out and discover the City! We’ll be waiting to hear your impressions of these unique and awe inspiring places.